Race against time to help prevent a tragedy in the bonus game! Tons of hidden keys and elusive figurines to find! Enjoy the exclusive soundtrack, wallpapers, concept art, and more! 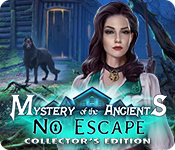 Mystery of the Ancients: No Escape Collector's Edition is rated 4.2 out of 5 by 53. Rated 5 out of 5 by Vandykat18 from Definitely CE Worthy Based on full CE game play, bonus and extras: (Skipping details left in other reviews) Finally a game that is worth the full CE price. Not only is the main game interesting, and the bonus chapter fun, but the hundreds of additional puzzles in the Extras make this one totally worth it! Normally I run through a CE game and bonus in 4-6 hours, but with the additional puzzles, this one runs over 20 hours. Love it! Rated 5 out of 5 by FunwithBigFish from Loads of fun! Congratulations MariaGlorum on this hit game. Wouldn't it be amazing If all HOPAs could be this interesting and fresh. You raised the bar for 2019 games! Best game that I've played in a long time. Rated 5 out of 5 by gooberteasdale from Great Game Others have submitted in-depth reviews - so I won't. I just wanted to thank these devs for making their games available to those of us who cannot afford to upgrade our computers every five minutes! Thank you for making it possible to keep playing new games! Rated 5 out of 5 by timothya from This One Delivers I was set not to like this game and it completely won me over. Come on now, yet another game with a cutesy assistant, an evil sorceress, and a spooky house to escape? It better be good to avoid the remainder table...and it was. Pros: beautiful graphics, plenty of puzzles, engaging and not too outlandish plot. 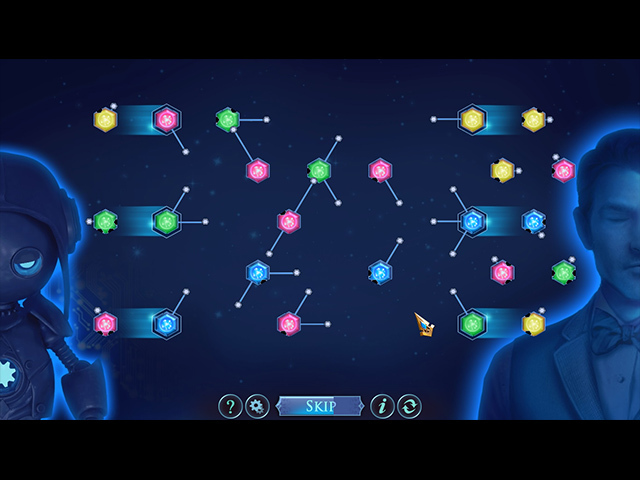 Plenty of game play, most tasks made sense, and some lovely puzzles reminiscent of MCF at its sadly lost greatness. Creepy worlds, immersive music. An assistant that is actually a necessary part of the game for a change. Cons: the player characters (female in the main game, male in the bonus game) talk to themselves far too much. Quite a lot of back and forth and thank heaven for the jump map. Some of the dialogue is strained at best. Magic and technology in the plot make a very uneasy truce. Overall, a long, beautiful, occasionally challenging game that gives full value for the money. A game doesn't have to be perfect to get five stars in my book, it just has to deliver, and this one does. And just one complaint that isn't one, really - in the Extras there is a puzzle that results in an absolutely gorgeous graphic ("to be continued") that I'd love to have for a wallpaper...and can't. Come on, purty puh-lease? Rated 5 out of 5 by JR33 from One of the best I have played in years! Excellent! Game lasted a long time - longer than the ones I have played before. The mini games and HOP were not as easy as some others, which made it more interesting. The story line was okay - and the voice overs were good - a lot better than others. Really pleased I bought this one! Rated 5 out of 5 by RPgames from No Escape I tried it out first and it was good. After purchasing it at first I had no idea what was going on and thought I made a mistake but after about 30 minutes I started getting to under stand what the story line and jest of it. 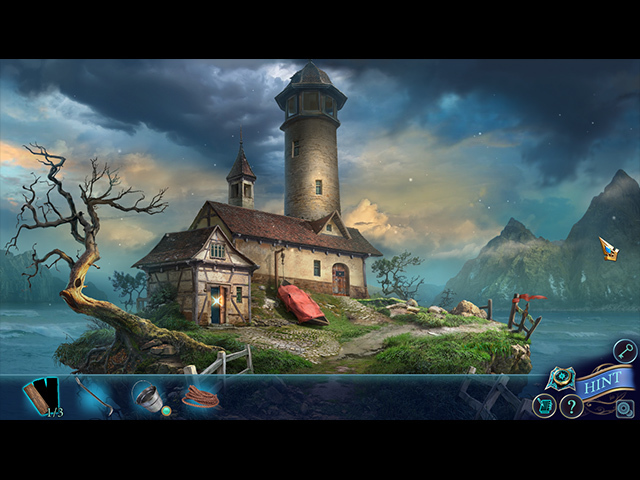 The hidden objects are a little hard since there is a lot of items in the scene and most items are small. The instruction for the mini games are hard to understand on some so I skipped them. This is my only complaint of this game. One needs to find keys or couple of figures in each scene and most are not hard but couple of keys I spent a long time looking for them. The bonus chapter was worth it and I thought was very good. Seems like the game was not to long and with the bonus part longer than most Collector Edition. Not to spooky but a little odd at times. So if you like scary games this might not be for you. A good sold game all around but not my favorite. Rated 5 out of 5 by charlene_lane from DEFEAT BEATRICE - WOW, WHAT A GAME REVIEW OF COMPLETED GAME AND BONUS Yes, believe the reviews - this game is fabulous and definitely a top contender to be one of the best games this year. Well done Maria Glorum - you rock. There is: * Voiceovers (with dialogue); * Casual, Advanced, Expert and Custom modes; * Interactive map; * Achievements room; * Find 23 keys and 7 figures in main game only; * Robot to help you through the different rooms. The graphics are very well done and scenes are clear and defined. There is plenty of colour and items you need to find are easy to spot. The music is orchestral and very beautiful. 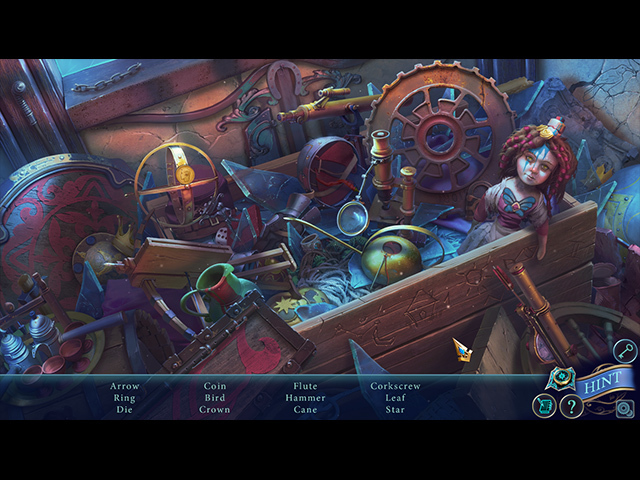 The hidden object games are mainly straightforward and finding one particular item - like 50 skulls (yes, 50!). These all had a very good challenge to them and I loved them all. Well, where do I start with the mini-games! There are a huge variety - some are easy and some are very hard. It started with getting the airplane to land which got my thinking cap on. If you love a challenge then there are mini-games in there to put you right into a spin. In some of these I was drinking from the bottle instead of the glass and yelling "I can do this"! There are 23 keys in each scene and 7 figurines to find throughout the main game. The figurines are easy to spot, but the keys are much harder. I did these first so I wouldn't forget about them. However, there is an icon at the bottom of the right hand screen. Just click in there to see if you have found it. If you forget and move on, then you can click in there and go to the scene to find it. Get them all and you get an achievement. All up the game took me a good 9 hours to do, playing all the mini-games. Its a long game and the bonus is lengthy as well. Overall, this is an unmissable game and so worth putting in your collection. I will be definitely playing this game again - just for the mini-games. Happy playing fishies. This is a gem. Rated 5 out of 5 by GoneFishin86 from Believe The Hype!! There is a reason for all these five star reviews. I also think this could be the best game of 2019 and we are only in March! I usually think of HOP scenes as something i have to get through in order to get to the adventure part of the game which is where my true enjoyment comes from but this game made HOP interesting again. The mini games were also just the right amount of challenge not frustrating but also not just something I could run through just entertaining. You put HOPs and puzzles I actually enjoy doing mixed with good story and game play you got a five star game. I always judge how good a game is by how fast i jumped to the bonus chapter after the main game and this time I played it right after because I just didnt want it to end. Rated 5 out of 5 by julie500 from new puzzles I really enjoyed this game,it took me a lot longer to play it,not because it was longer but because the puzzles were different and more challenging and i really enjoyed that. Rated 5 out of 5 by sheridanmetz from Very fun game I loved this game because it has some different puzzles. So tired of every game having the same style puzzle with different themes. This one did not disappoint. Thoroughly enjoyed playing both regular and bonus feature.